3.5"W x 4.25"H; Stainless Steel, Natural & Oxidized Brass, White Enamel The Butterfly Ginkgo Collection celebrates the representation of flora as fauna. 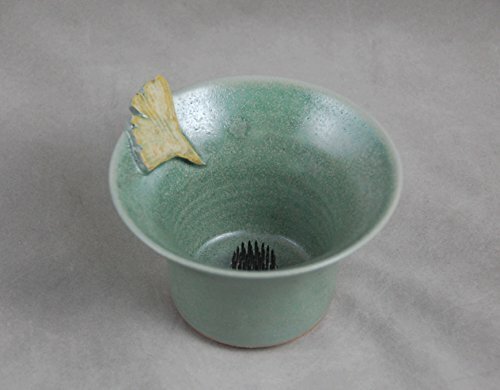 Michael's fascination with a particular type of ginkgo tree, the ginkgo Biloba, or "Butterfly ginkgo", which grows with a double leaf reminiscent of a butterfly's wings, gave rise to a fantasia image of the plant. 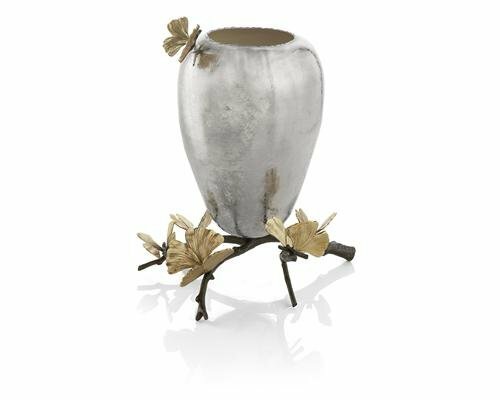 Executed at the highest level of handcraftsmanship, each piece is rendered in solid bronze with acid etched cocoon-shaped vessels. The pieces in the collection are a tour de force of Indian craft and capture the poetic spirit that is so deeply indicative of Michael's work. 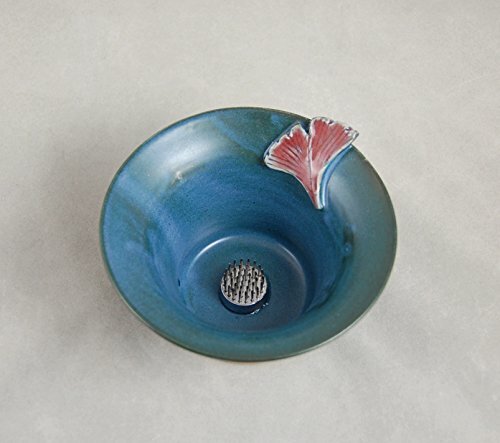 The Butterfly Ginkgo Collection celebrates the representation of flora as fauna. Michael's fascination with a particular type of ginkgo tree...Ginkgo Biloba, or "Butterfly Ginkgo", which grows with a double leaf reminiscent of a butterfly's wings...gave rise to a fantasia image of the plant. 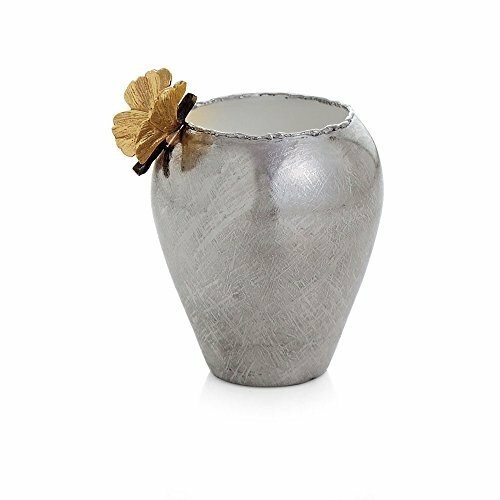 Executed at the highest level of handcraftmanship, each piece is rendered in solid bronze with acid etched cocoon-shaped vessels. The pieces in the collection are a tour de force of Indian craft and capture the poetic spirit that is so deeply indicative of Michael's work. "The first time I saw this tree, it literally looked like it had been completely overtaken by butterflies...as if they would all take flight the moment I walked too close or made a noise. The idea that the leaves could evoke the beauty of butterflies was magical to me, like trees that can metamorphose from flora to fauna in the blink of an eye." 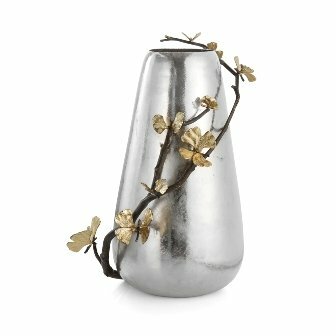 Our luxe vase with Ginkgo lid is designed exclusively by trisha yearwood home. Artisan crafted from high quality materials. 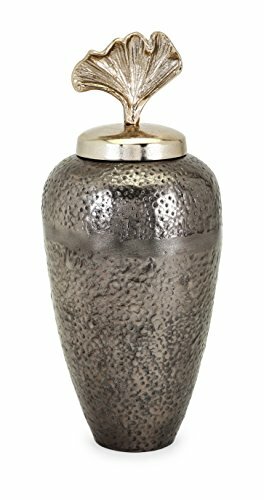 Hammered aluminum in a pewter finish forms the base of this unique vase, which is topped with a gold Ginkgo leaf lid. 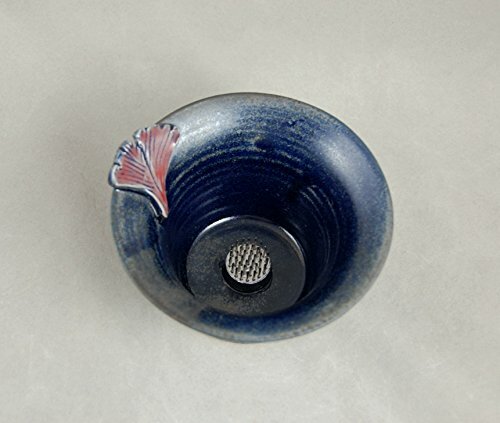 A beautiful and artistic accent for everything from traditional to contemporary settings. 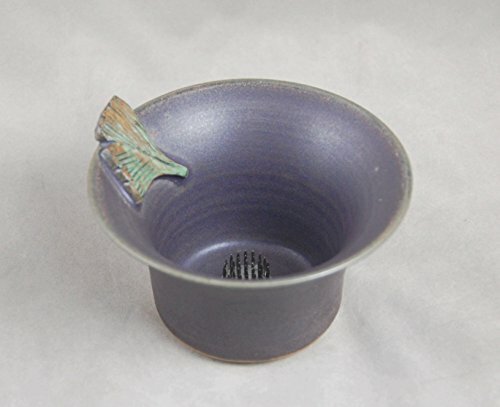 Measures 7-inch diameter by 16.25-Inch high. Trisha yearwood home was inspired by comfortable-yet-chic Southern style with attention to quality and value. Her exclusive collection is all about personalizing your home with pieces you love and creating a comfortable environment to share with family and friends.